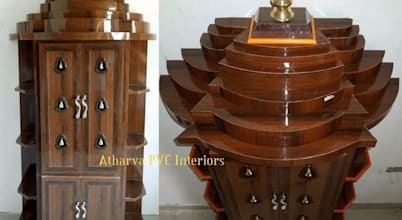 We have the expertise in PVC wardrobes, PVC kitchen cabinet, PVC loft covering, PVC dressing table, PVC showcases, PVC pooja room, PVC cupboards, PVC book shelf, PVC storage box, PVC doors, PVC ceiling & PVC wall paneling. We will help you to fulfill your Dreams within the Minimum budget. Our target has always been a Timely service with the Best quality and Optimum cost." PVC ceiling & PVC wall paneling. Good quality and Awesome look. I have completed the interior work for my 2bhk house with in 1.7lakh. 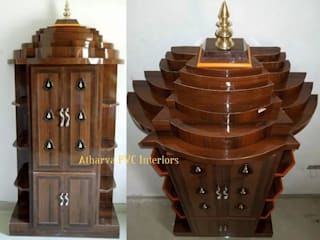 Instead of spending 4/5 lakh for interior work I would suggest to go with pvc interior works. 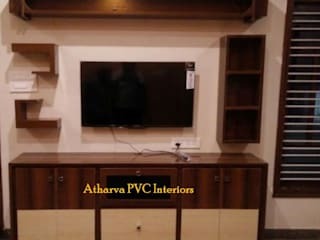 Thanks to Atharva pvc interiors. Good work by the team. The work completes as expected and very satisfied. 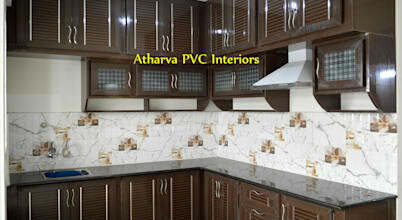 Atharva PVC interiors helped us to make our home interior the way we wished and dreamed of. They have incorporated all what we told. Orderly work, very well finish and installation. Thank you so much. 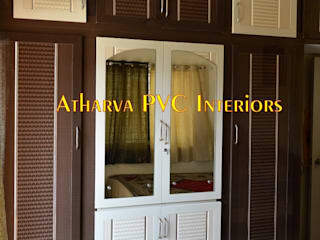 We would surely recommend Atharva PVC interiors to our friends and family. Today most kitchens have modular cabinets that are designed to be attached either above or below the counter and are made of a large variety of materials like wood, PVC, melamine and stainless steel.